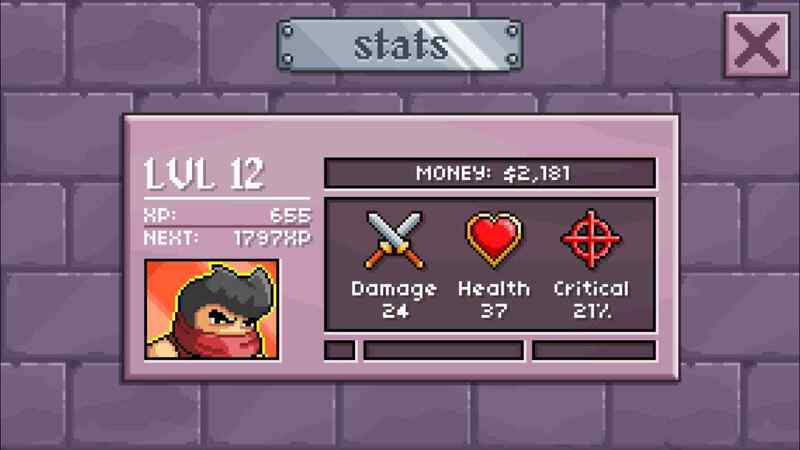 10 word description: Action platform RPG-lite sequel. 3 playable classes. Upgrades. Boss fights. 10 word review: Bigger, slicker, much harder than the original. Fast-paced fun. 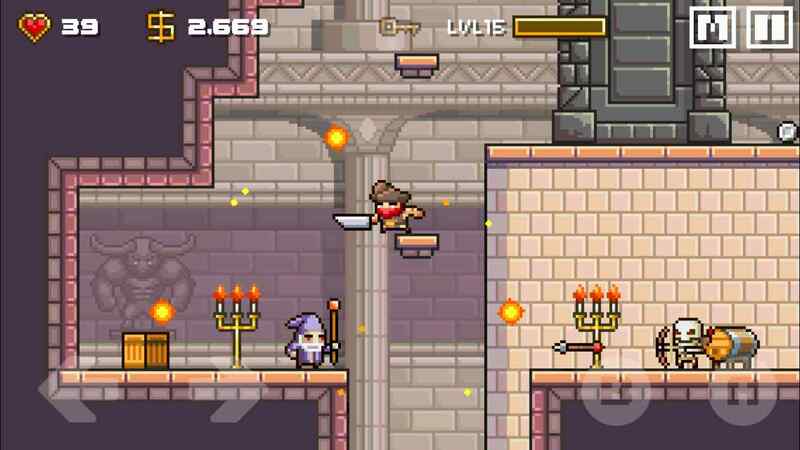 You will like this if you enjoy: Action platform games. Simplified RPGs. Trolls. Fireballs. Spike pits. The good news: Several hours in, no crashes or memory-leak slowdown; I reckon they’ve fixed or rewritten their engine. Controls are reliable and responsive, although they can’t be customised. 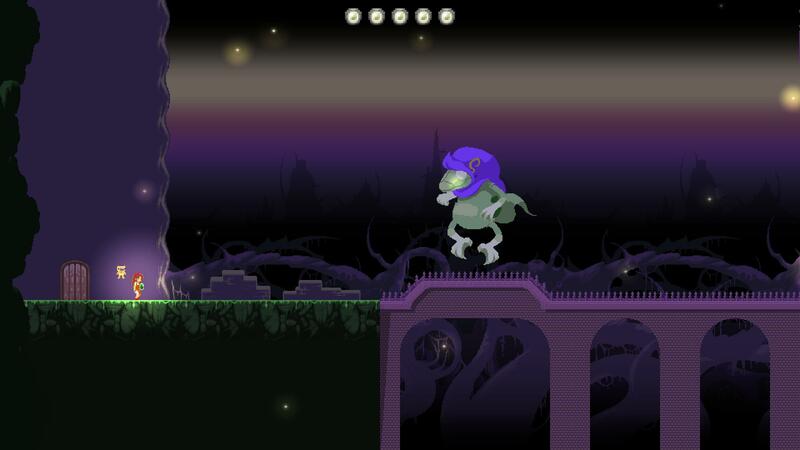 Varied and attractive environments, enemies and objects. 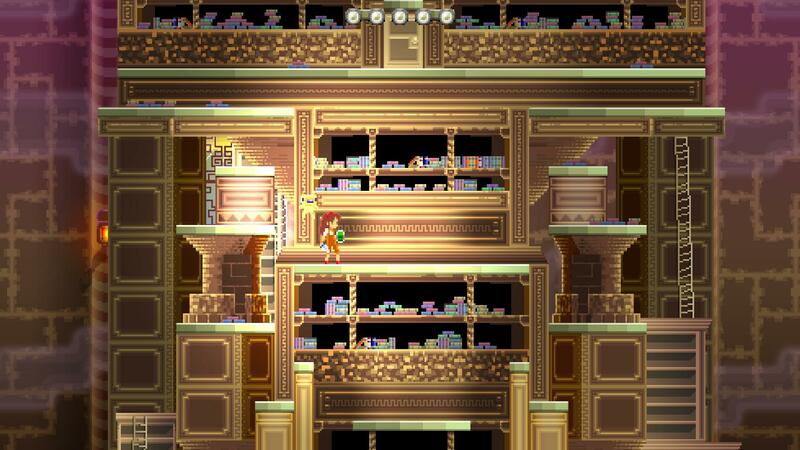 Progress is well-paced, with permanent checkpoints every few levels. Three save-game slots. Generally a whole load of fairly mindless fun. The bad news: Cloud save-game blatantly doesn’t work. Gameplay is repetitive, but this is not necessarily a bad thing as the action is relentless and entertaining. Arcadelife verdict: I like it, even the pervasive sense of grinding while battling to reach each checkpoint. 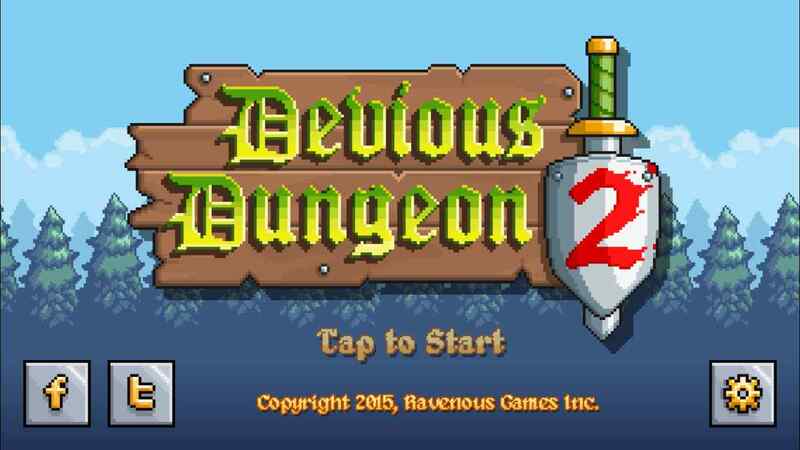 It might not exactly bring anything new to the genre, or even to the Devious Dungeon series, but it’s a worthy sequel that is fun to dip into for regular blasts of platforming action. A special mention goes to the long overdue overhaul of the buggy, crash-prone engine that is no longer buggy or prone to crashes. Well done. 10 word description: Endless vertical auto-run depth-driller. 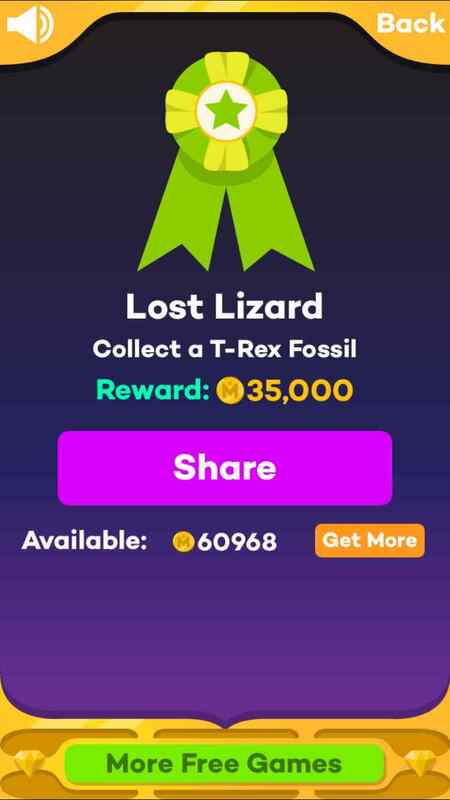 Permanent upgrades, leaderboard, achievements. 10 word review: Addictive, challenging fun. Free with unobtrusive ads – recommended. 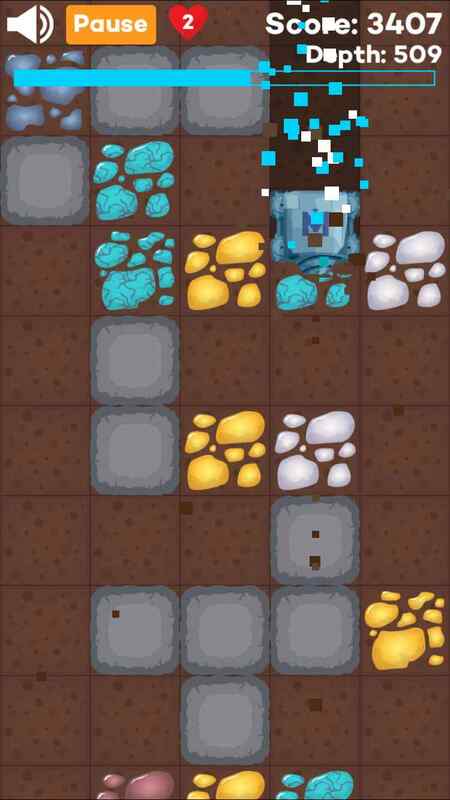 You will like this if you enjoy: Endless runners/diggers. 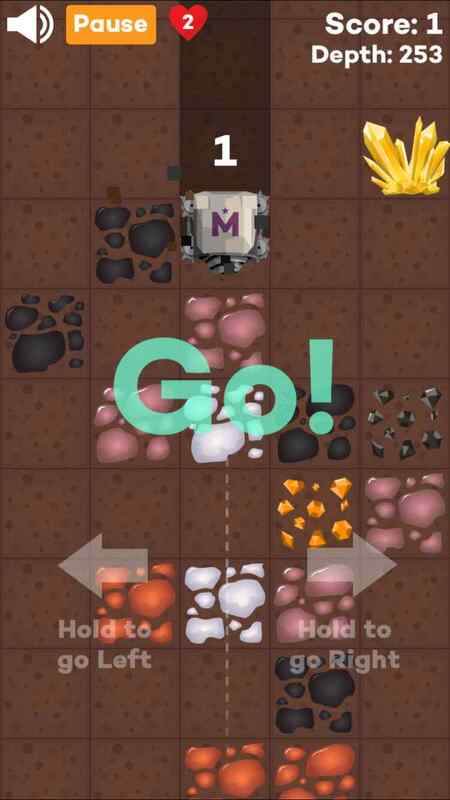 Mining games. Permanent upgrades. 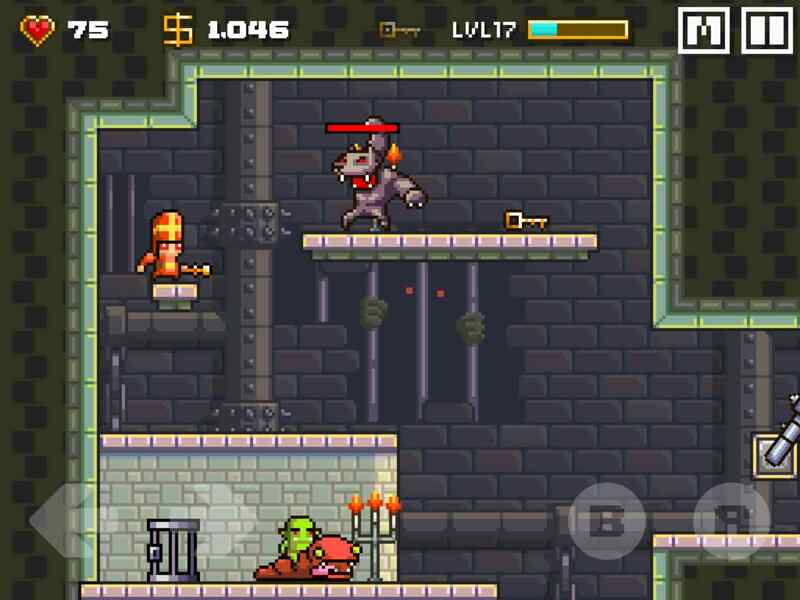 The good news: Clean, attractive graphical style that is retro without going into the realms of extreme pixel graphics. Reliable, responsive controls. 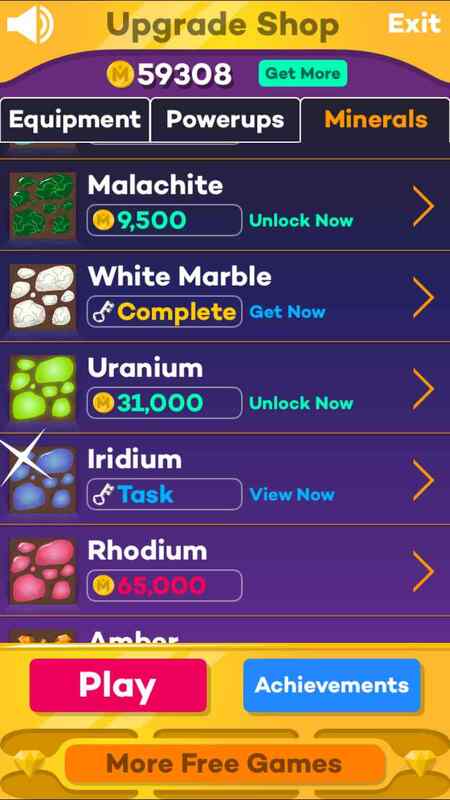 Great sense of constant progression through affordable (game currency) permanent upgrades and unlockable minerals. No single-use consumable items – yay! 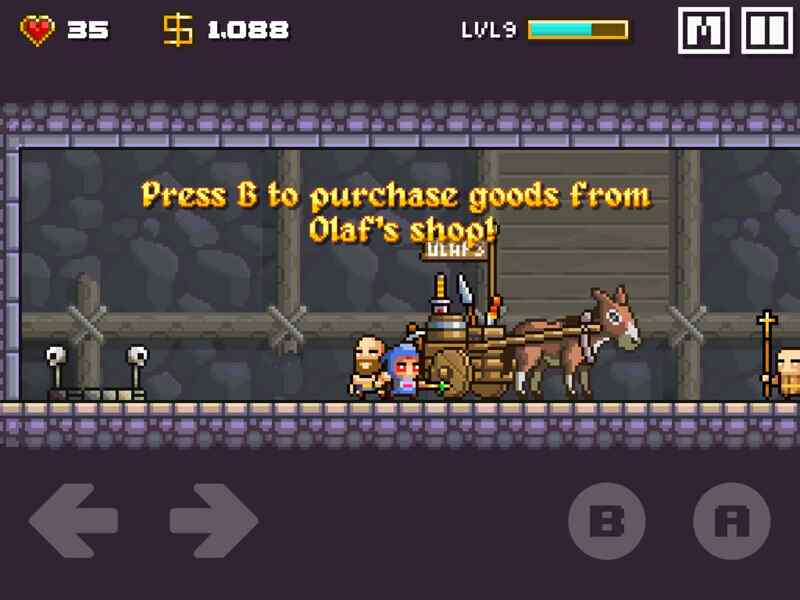 Despite being a free game, there is no need to buy any IAPs – progress is constant and swift using just the easily obtainable in-game currency. The bad news: There are adverts, but it’s a free game so what do you expect? They’re not particularly obtrusive and they can be instantly dismissed, not the type with timers where you have to wait before clicking the X to close them. 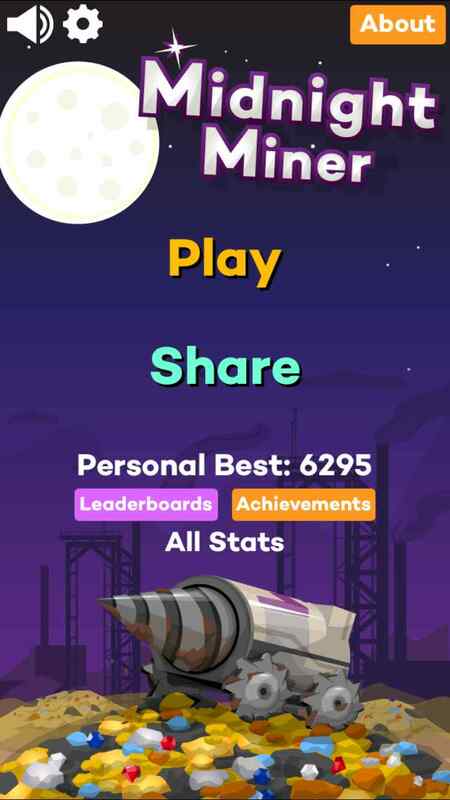 Arcadelife verdict: It’s a bit like a twitchy, fast-forward version of Mr Driller or Doug dug, with a lot less strategy but loads more upgrades and unlockable stuff. I tend to avoid free games on principle, but this one actually gives the player a really fun, fully functional game that can be played, rather than an empty hole to throw money into. 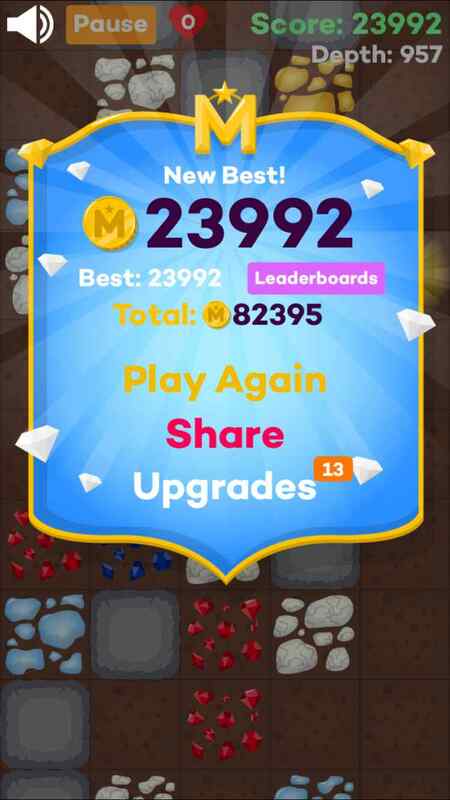 The upgrades and unlockable minerals can be earned very quickly, rapidly contributing to larger and larger scores. It’s extremely addictive and stands out as a shining light of the free game genre, something against which the majority of other free games, plus a whole slew of paid ones, would struggle to match for pure gaming fun. 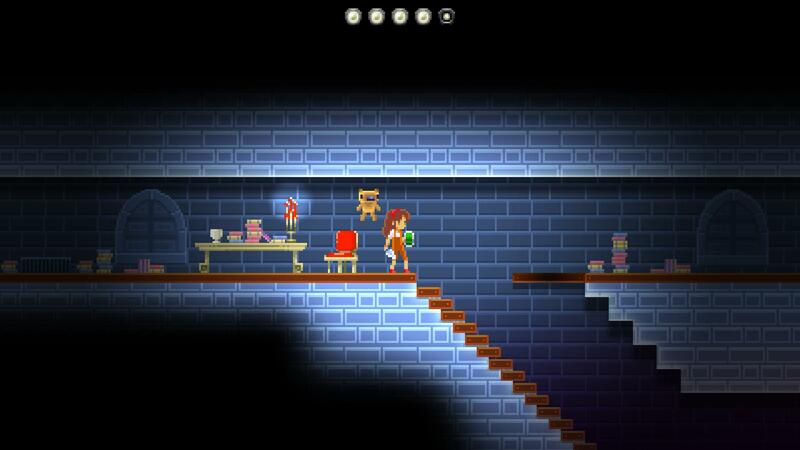 10 word review: Entertainingly familiar; a nice addition to the platform adventure genre. 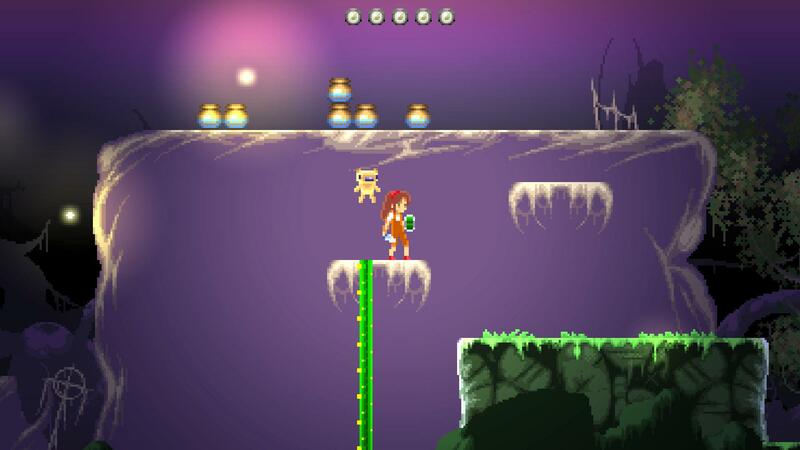 You will like this if you enjoy: Platform adventure games. 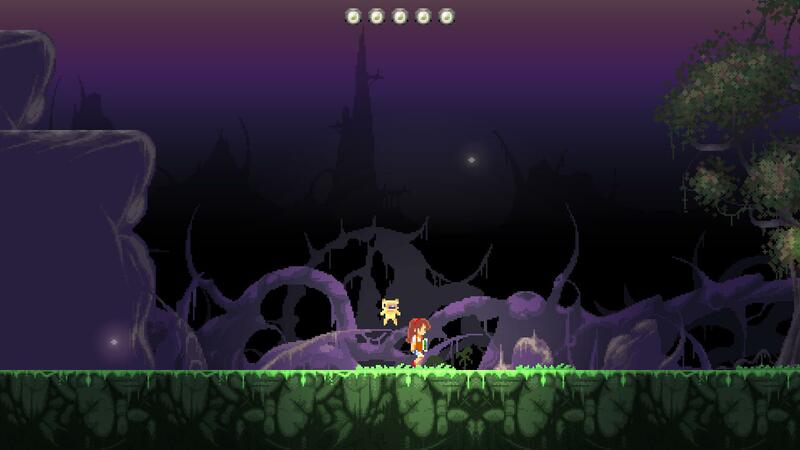 Metroidvania game style. The good news: Looks nice, in a retro homage way. Straightforward keyboard controls with several gamepad options. 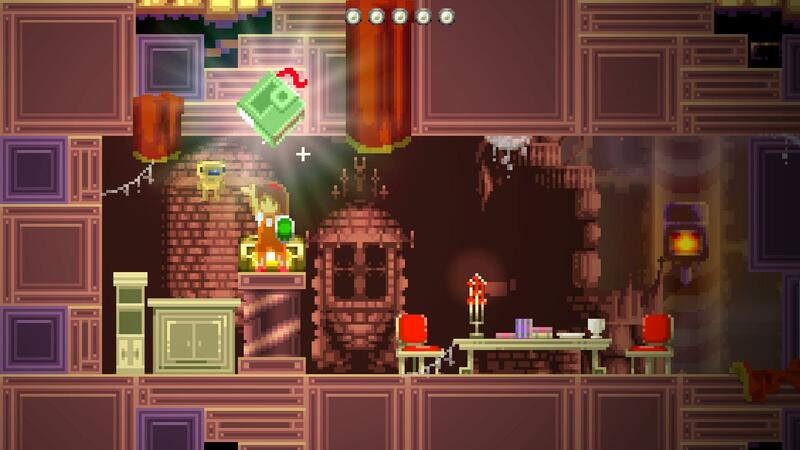 Familiar platform adventure gameplay is as enjoyable as it always was. Good variety of environments. Big bosses. The bad news: Doesn’t really do anything original with the genre, but that’s kind of the whole point. Arcadelife verdict: Finding Teddy 2 is a decent platform adventure game that does what it intends to do, and does it in a familiar, visually appealing way. I like this kind of game, therefore I like this competent example of the genre. You are currently browsing the ArcadeLife : Life vs Video Games blog archives for April, 2015.